This post was originally delivered as a keynote speech to all attendees at a New Mexico Coalition of Charter Schools (NMCCS) conference on Friday, December 8th, 2017. Public schools are one of the few remaining public institutions where people from every walk of life come together to mix and mingle. Making our public schools stronger should be our top priority. Politicians, parents, teachers, and students. We all must commit to the best possible public education system. But, you have heard that before and not much has changed. Strong public schools are the silver bullet to reduce crime, spur economic development, develop our tax base, increase voter engagement through well-informed citizens who care, and so much more. So why can’t we do that? What stops New Mexico from having one of the best school systems in the nation? Before I sound too critical, let me congratulate everyone who is already working hard to improve our next generation’s lives. As teachers, administrators, and policy makers, you demonstrate commitment to our kids. As charter school supporters (I hope) you remain committed to something different for our kids and that makes all the difference, because different is good. Kids are different, communities are different, cities are different, and the future will be different. Charter schools are different from traditional public schools and they are different amongst themselves. In fact, being different is what characterizes the charter school movement and being different is what summarizes what we all have in common in this vibrant movement. Traditional public schools still function in the industrialized model of the 1950s where standardization was the goal. The same government buildings, same classrooms, same curriculum, same teacher training, same student evaluations, same teacher evaluations for all schools no matter what. Does anyone think that makes sense? The charter school movement does not. Different is good, that is our motto. Before I write too much about why charter schools can and should be the great political compromise between the Right and the Left and the model for all future school reform efforts, let’s review what the charter movement is about, how we got, here and why we are in the middle of a critical revolution. As a State Representative in 1993 I wrote and passed the NM Charter School Act. I am a product of Albuquerque Public Schools. I had good teachers and bad teachers; engaged teachers and teachers who were punching the time clock; innovative teachers and teachers who taught the same stuff the same way for 25 years. I found my refuge in the chorus and speech programs at Jefferson Middle and Highland High. Else I would have been miserable, bored, and unchallenged. With no place to belong. With young kids in APS, I saw things had not changed that much in the ensuing 20 years or so. I thought there had to be a better way and on a trip to Disneyland in the early 1990s with my wife and kids, I read about the new charter schools in Minnesota and thought, "That's what we need in NM!" Site-based management and budgeting, lots of waivers from useless regulation and bureaucracy, strict goals, and plans to achieve those goals. Plus, the ultimate in accountability: shut the schools down when they fail. So, I introduced the bill, worked to build a bipartisan support network, and - during a 60-day session - pushed it through with Governor King signing it. This was a very basic charter school bill allowing for only five original conversion schools. Turquoise Trail Charter School is the only one still going. I was the President of the Governing Council in the late 90’s for another one, Taylor Middle School, where my oldest was going to school at the time. In 1998 I served on the state charter school task force that redrafted my bill to expand and include new and start-up schools. That bill passed in 1999 and, with some changes, remains the legislation all NM charter schools operate under today. First and foremost, they are public schools, despite the divisive rhetoric. They are incubators for new ideas. They are risk takers. They provide services to certain kids that other schools don’t and they include community members in ways that traditional public schools can’t. In short, charter schools are our hopes and dreams of what the entire public school system could be - and you are a part of it. Charter schools are intended to be community-based schools run by a group of parents, teachers, and even students. Not by administrators removed from the school site. Charters spell out in black and white how students learn, demonstrate that learning, and why. If they succeed, then they get their charter renewed. When they fail, they close. When was the last time an underperforming traditional public school failing students got closed? God knows many are failing far too many kids. Ever? Charter Schools redefine what a school is, what great teaching is and what student involvement means. My wife and I were two of the four co-founders of the Public Academy for Performing Arts (PAPA), a charter school in Albuquerque. From 2000-2002 I spent 20-30 hours a week of volunteer time helping move this idea of a school from a rough concept to drafting a charter, to presenting in front of APS to opening the doors. The fact that PAPA is still going strong after 15 years is one of the most gratifying aspects of my life. Our original concept was for an integrated curriculum. Teach math through music. Teach physical education via dance. Explore history through the performing arts of that era. Some of this happened and some did not. Innovation is hard when charters are accountable to their governing council, charter agreement, plus a school district with traditional rules and regulations. Inevitably, some innovation gets stifled. Please defend against that encroachment. Charter schools are accountable through their charter. Fulfilling what they promised to their chartering entity. When more layers of rules and regulations pile on our schools, it drowns our creativity and ties us up in knots. Just like traditional public schools. We must fight the status quo that is failing most of our kids. Why? Our public school system is failing us. Our graduation rates are abysmal. Most kids can’t read at grade level. Most NM universities spend the first two years bringing skills up to a 12th grade level. Most teachers are underpaid, under appreciated, and micro-managed. Most charter schools pay more, micromanage less, teach better, teach more challenging students, don't cherry pick, take all comers, don’t get much money for the physical plant, and still get pummeled by the naysayers. I say again: if traditional public schools close when they first failed kids, most public schools would have shuttered years ago. And many need to close. Now! Yes, there are charter schools that have and continue to fail in NM. Yes, there are charter school founders and operators who are unethical, overpay themselves, and short-change their staff. Yes, there are charter schools with underperforming kids, in need of immediate change. We are not a perfect movement, but the national data shows that charters provide a service that traditional public schools don’t. And with results at least equal to mainstream schools while serving a skewed, at-risk, needful population. Especially in New Mexico. Now, let’s talk about the politics of education in New Mexico for a few minutes, because it is deeply frustrating to me and many education reform advocates. The traditional Democrat orthodoxy believes that more money will solve our education problems. Pump more money in, better students come out. My view is that competition for students between traditional and charter schools is good for all students. And teachers. We should shutdown all failing public schools, whether traditional or charter. We should fire administrators who can’t improve local schools. All schools should embrace site-based management and budgeting. Just like charters. We should remove power and money from the U.S. Department of Education, the State Department of Education, and local School Boards so that more money and authority is at the school site. Just like charter schools. We should evaluate teachers based on their competency and results in the classroom. We should evaluate students based on a comprehensive portfolio that captures multiple talents. We should counsel the bottom third of teachers out of the profession and double the salary for those remaining to attract higher quality candidates. The reason many charters have better teachers is because they pay more and they empower teachers to run the classroom, and even the school, the way they see fit. Charter schools and teachers unions should be natural allies. But they are not and that's an avoidable travesty. I would like to see the unions open their own charter schools and put their money where their mouth is to create the best schools in the nation and state. The charter school movement is not about union busting. It is about creating an environment where collaborative management means there is no conflict between employees and management, because they are all the same thing and the same people. I am against a voucher system to use public dollars to fund private schools because it undermines the charter school movement. Any time someone uses vouchers and charter in the same sentence it hurts us. Charters are public schools. Vouchers pump public dollars into private and religious schools. Charters don’t take money away from public schools because they are public schools. Charters can’t discriminate and must take all comers. Don’t let others confuse the two because it could be the undoing of our young but vibrant charter school movement. And opponents gleefully drive this wedge amongst us. Again, charter schools should be the common ground where the political Left and Right come together to solve our education problem. They demand accountability and efficiency while empowering teachers. They cut down on overhead while leaving more money for the classroom. They do away with the 1950s industrialized model of one-size-fits-all in favor of a nimble, diverse, community-based solution. When wholly embraced, charters give ammunition to those who believe we should spend more money on education. You see, that is our perpetual log jam. The Left always wants more money without admitting they are funding a broken system. While the Right wants to cut education because they view it as a failed system. Let the charter movement be our template for a new era in education reform. One where we show we are responsible adults who deserve to be in the care of our next generation while also being the guardians of tax dollars well spent. If that were the perception and the reality of education in New Mexico, we would have highly paid, highly motivated teachers, outstanding learners, and a new generation of New Mexicans able to drive our economy forward for the benefit of everyone. Former State Representative Bob Perls wrote and passed New Mexico's original charter school act, served as President of Taylor Middle School governing council, and co-founded Public Academy for Performing Arts. 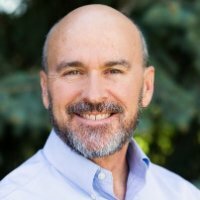 He is a board member for the New Mexico Coalition of Charter Schools, founder of New Mexico Open Primaries, and is a serial entrepreneur in the healthcare technology field.